Ibrido means Hybrid in Italian. It also sounds like some kind of soup to me (not really sure why though). So being that the soup we had last night was a combo of my 2 favorites, I thought this would be a perfect name! 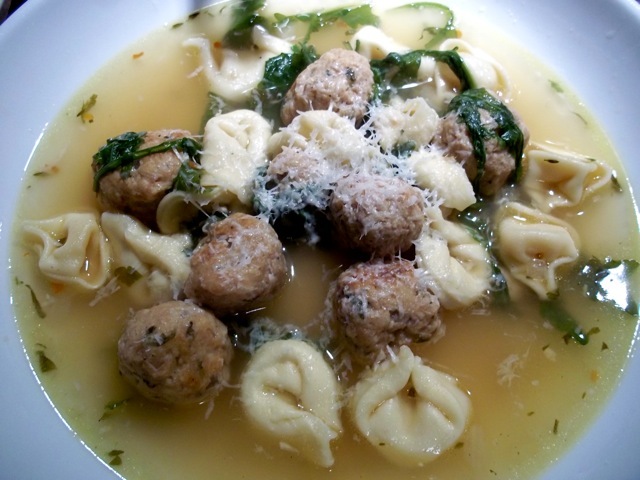 My 2 favorite soups are both Italian classics; Wedding Soup and Tortellini en Brodo (in broth). Both are mega comfort foods for me, so when I was wondering the store last night exhausted I had a feeling combining the 2 would make me smile. It's basically pasta and meatballs! What could be bad about that?